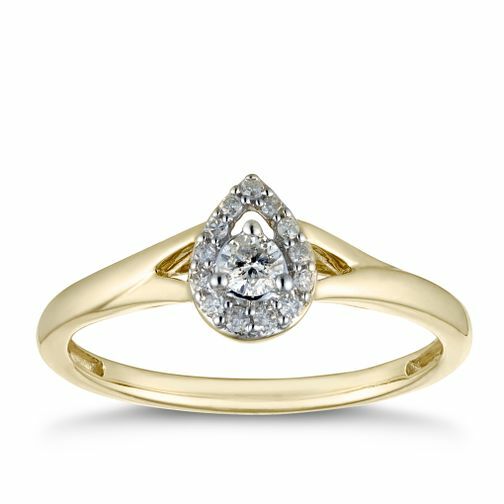 Gorgeously crafted from 9ct yellow gold, this glistening diamond ring features a shimmering pear shape stone set halo, with a brilliant diamond centrepiece. Complete with cut-out shoulders, a timeless ring to celebrate your love. The total diamond weight for this ring is 0.15ct.